Mid SAPS engine oil for modern gas and diesel engines used in passenger cars with exhaust post-treatment systems (diesel particle filter). Pump-jet engines in compliance with relevant regulation. VW 505.01 For diesel engines with and without turbo charger, with pump-jet fuel injection, no DPF installed at the factory. Oil change interval 15,000 km / 1 year. High HTHS viscosity. MB 229.52 new BlueTec engines meeting the Euro-6 emission regulations, extremely high requirements for aging resistance and fuel consumption, if compare to MB 229.51. BMW LL-04 For gas and diesel engines including DPF, low-emission in accordance with Euro emission standard Euro 4/5, with extended maintenance intervals, made in 2004 or later. Specially developed for models equipped with an exhaust post-treatment system and models complying with the relevant regulation. ACEA C1 Low SAPS; low HTHS viscosity 2.9 –3.5 mPa*s, low viscosity (0WX, 5WX), performance characteristics equal to A5/B5, but with a strictly limited portion of phosphorus (< 0.05 %), sulfur (< 0.2 %), and sulfate ash (< 0.5 %). Specially developed for PSA models with an exhaust post-treatment system and vehicles complying with the relevant regulation. ACEA C2 Mid SAPS; low HTHS viscosity 2.9 –3.5 mPa*s, low viscosity (0WX, 5WX), performance characteristics equal to A5/B5, but with higher portions of phosphorus (0.07–0.09 %), sulfur (< 0.3 %), and sulfate ash (< 0.8 %) than those applying to C1. Peugeot B71 2290 Mid SAPS engine oil based on ACEA C2 and PSA in-house-testing. Intended for current generation gas and diesel models including soot particle filter when used with a Viscosity of 5W/30. Low HTHS viscosity reduces fuel consumption. The low-ash formula ensures a long service life for the soot particle filter. Specially developed for Renault vehicles equipped with an exhaust post-treatment system and vehicles complying with the relevant regulation. ACEA C4 Low SAPS; high HTHS viscosity > 3.5 mPa*s, low viscosity (0WX, 5WX), performance characteristics equal to A3/B4, but with a higher portion of phosphorus (0.09 %) than that applying to C1, sulfur (< 0.2 %), and sulfate ash (< 0.5 %). Low evaporation loss. MB 226.51 For certain gas and CDI-diesel engines with DPF and with extended maintenance intervals - Assyst Plus. Renault RN0720 Requires specially formulated low SAPS oils – engine oils with a low portion of sulfur, phosphorus, and sulfate ash. Especially for new generation models with Euro 4/5 diesel engines including DPF except 2.2 dCi diesel engine with DPF. Max. change interval up to 30,000 km. Applicable for model years 2008 or later. High-performance, low-viscosity engine oil for gas and diesel engines used in passenger cars and vehicles complying with the relevant regulation. ACEA A5 Meets the highest requirements with regard to aging resistance, viscosity stability, fuel savings, exhaust emissions, wear characteristics, and engine cleanliness - especially in connection with extended maintenance intervals. 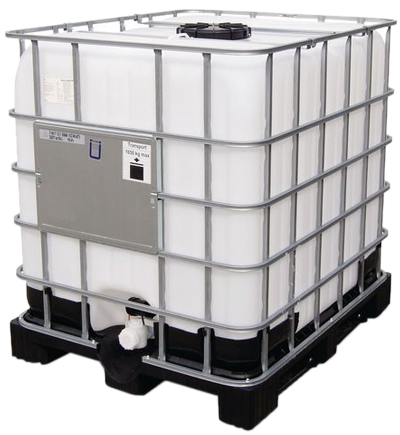 The low HTHS viscosity provides for low fuel consumption. ACEA B5 Meets the highest requirements with regard to aging resistance, viscosity stability, fuel savings, exhaust emissions, wear characteristics, and engine cleanliness – especially in connection with extended maintenance intervals. The low HTHS viscosity provides for low fuel consumption. ACEA A1 Fuel economy engine oils with low HTHS viscosity. ACEA B1 Fuel economy engine oil with low HTHS viscosity. API SL Demands, compared to API SJ, that the engine oil meet even higher requirements when it comes to aging resistance, viscosity stability, fuel savings, and engine cleanliness – especially in connection with extended maintenance intervals. Effective since 2001. WSS-M2C 913-D For diesel engines of Ford Europe with DPF(Euro-4/Euro5). Applicable for model years 2008 or later. Downward compatible to WSS M2C 913C, 913B and 913A. Low HTHS viscosity, improved soot absorption capacity and compatibility with biogenic fuels. Synthetic high-performance engine oil for gas and diesel engines used in passenger cars (except pump-jet engines). Best possible oil penetration at all temperatures and in all usage conditions. Fuel-efficient. Low-viscosity, partially synthetic engine oil for gas and diesel engines used in passenger cars (including turbo models and except pump-jet engines). Good cold start characteristics are combined with excellent “stay in grade” properties. MB 229.1 For certain gas and diesel engines. Can not be applied to current models. VW 501.01 Conventional multi-grade engine oil for gas and naturally aspirated diesel engines with fixed maintenance intervals. Oil change interval 15,000 km / 1 year. High HTHS viscosity. High-performance engine oil for passenger car engines with turbocharger for engine fuel economy. The innovative combination of low viscosity and safety under all conditions. MB 229.5 For gas engines (with compressor) and CDI diesel engines without DPF with extended maintenance intervals – Assyst Plus. Mandatory for certain AMG models when used with a viscosity of 5W/40. High-performance engine oil for passenger car engines with turbocharger for engine fuel economy according to A5/B5. Recommended for Volvo passenger cars in accordance with manufacturer's speciﬁcations. High-performance engine oil for passenger car models. Low oil consumption. Heavy-duty lubricating ﬁlm and oil pressure. State-of-the-art low-viscosity engine oil. Conserving fuel and reducing wear. WSS-M2C 948B Specified for the new EcoBoost engines, meeting the Euro-6 emission regulations, ultra low viscosity combined with low HTHS viscosity. A fuel economy SAE 0W16 motor oil, developed according the most recent technology, based on specially selected base oils and a well balanced choice of advanced additives to obtain the following properties: - a lower fuel consumption - a high and stable viscosity index - a good resistance against shearing This fuel economy, specially composed SAE 0W16 motor oil, is recommended for use in petrol engines in passenger cars of Japanese OEMs, equipped with the latest techniques. A fuel economy motor oil, developed according the most recent technology, based on specially selected base oils to which advanced additives are added. A fuel economy, universal motor oil, developed according the most recent technology, based on specially selected base oils to which advanced additives are added. Peugeot B71 2312 Low SAPS oil based on ACEA C1/C2 with low HTHS viscosity. Developed for the new generation of PSA “BlueHD” diesel engines. This universal motor oil is suitable for use in petrol and diesel engines, with or without turbo-charging. Moreover this lubricant is also very suitable for passenger car diesel engines with pump-injector-unit. This product meets the requirements of several OEM's and thus has a wide application. MB 229.31 CDI-diesel engines with DPF and with extended maintenance intervals - Assyst Plus. WSS-M2C 917A For Ford Galaxy 1.9 TDI with pump-jet fuel injection, 2.8 V6 gas engine (1995-2006) and Ford Ka gas and diesel models made in 2009 or later. High HTHS viscosity. An extreme modern, universal motor oil based on special selected base oils with a high viscosity index and a well balanced choice of advanced additives to obtain the following properties: - a high and very stable viscosity index - a high resistance against shearing - a fast cold start - a very strong resistance against oxidation An universal, special composed motor oil recommended for use in petrol and diesel engines, with or without turbo-charging, in passenger cars and delivery vans for which the most modern specifications are required. A fuel economy motor oil, developed according the most recent technology, based on specially selected base oils and a well balanced choice of advanced additives. Cleantec DX 1G2 SAE 5W/30 is a modern, synthetic, fuel economy motor oil based on special selected synthetic base oils with a high viscosity index and a well balance choice of advanced additives. A fuel economy, special composed synthetic motor oil recommended for use in petrol engines of passenger cars, which prescribe an oil with the specification GM dexos1 ™ Gen 2. Minimizes the LSPI effect (Low Speed Pre-Ignition). Viscosity describes the internal friction of fluids and indicates their flow characteristics at low and high temperatures. High Temperature High Shear (HTHS) rate viscosity – indicates dynamic viscosity and is measured in millipascal seconds (mPa*s) at 150 °C and under extremely high shear loads of up to 106 s-1. It describes the characteristics of lubricants under certain operating conditions at the cylinder wall or inside the connecting rod or crankshaft bearing. Low HTHS: 2.9 – 3.5 mPas = low HTHS viscosity, allows for low fuel consumption. High HTHS: > 3.5 mPas = high HTHS viscosity, high degree of wear protection. The viscosity grades of engine oils are defined by the SAE J300 (Society oft Automotive Engineers), for instance SAE 10W40: The number preceding the letter W indicates the viscosity at low temperatures; the smaller the value in front of the W, the lower the viscosity of the oil at low temperatures. (the “W” stands for winter). The number following the W represents the viscosity at high temperatures; the higher the warm viscosity, the higher the loads the oil can handle at high temperatures. To avoid any confusion between engine and transmission oils, the viscosity grades applying to transmission oils are defined following SAE J306 (e.g. SAE 75W90). The SAPS level defines the portion of sulfate ash, phosphorus, and sulfur in engine oils. Low SAPS – strictly limited portion of sulfate ash (< 0.5 %), phosphorus (0.05 %), and sulfur (< 0.2 %). Mid SAPS – limited portion of sulfate ash (< 0.8 %), phosphorus (0.07 – 0.09 %), and sulfur (< 0.3 %). Full SAPS – no limitations to the portion of sulfate ash, phosphorus, and sulfur. The classifications of the API (American Petroleum Institute) describe the quality requirements to be met by engine and transmission oil in the United States. As the operating conditions and engine characteristics fundamentally differ between Europe and the United States, the ACEA (Association des Constructeurs Européens d’Automobiles) introduced its own classification system in 1996. While based on the API classifications, the ACEA sequences focus to a greater extent on the specific lubricant requirements that apply to engines built into European automobiles as well as the respective EURO emission standards. Meeting these requirements also involves the successful completion of test runs for lubricants used in European test engines. The current ACES sequences are grouped into A sequences (A1, A3, and A5) for passenger car gas engines, B sequences (B1, B3, B4, and B5) for engine oils used in diesel passenger cars, C sequences (C1, C2, C3, and C4) for engine oils with a limited SAPS level, and E sequences (E2, E4, E6, E7, and E9) for engine oils used in diesel trucks. Fuel-economy engine oils are defined as oils that allow for a low consumption of fuel. It is designed for the lubrication of four-stroke gasoline and diesel cars, including diesel engines with direct injection. Key features include a low ash formulation and a high resistance to ageing. Ideal for most gasoline and diesel engines. Particularly recommended for Direct Injection diesel engines. Pay attention to users manuel! Low-viscosity engine oil of the latest generation and based on synthetic technology. Developed especially for use in commercial vehicle engines. ACEA E4 Stay-in-grade engine oil for high-performance diesel engines meeting the Euro 1, Euro 2, Euro 3, and Euro 4 emission standards without particle filter, but equipped with EGR exhaust gas recirculation / SCR selective catalytic reduction. Oils for extended change intervals. 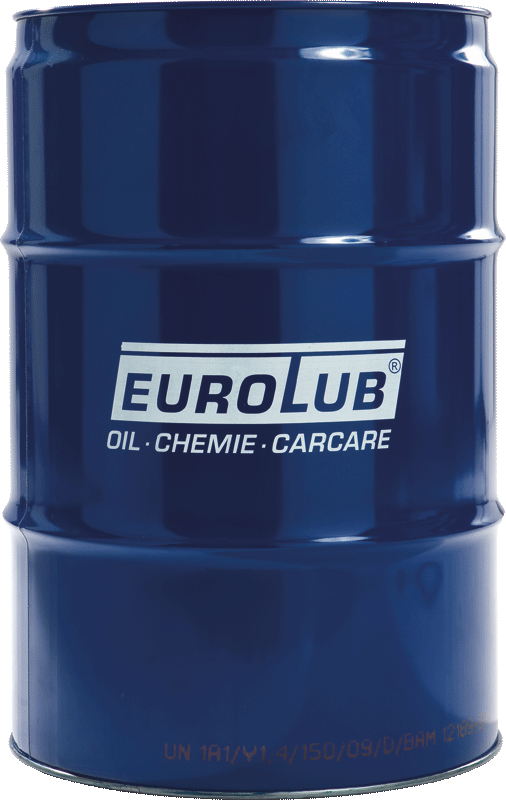 ACEA E7 Robust, stay-in-grade engine oil suitable for the same usage conditions as E4, but subjected to stricter wear and deposit testing, especially in turbo chargers, as well as improved soot absorption capacity. API CI-4 For diesel engines meeting 2004 exhaust emission standards or higher and operating on low-sulfur diesel (max. 0.5 %w). All-purpose, low-viscosity oil based on synthetic technology. Developed for use in diesel and gas engines built into commercial vehicles, work machinery, and passenger cars (except pump-jet engines). 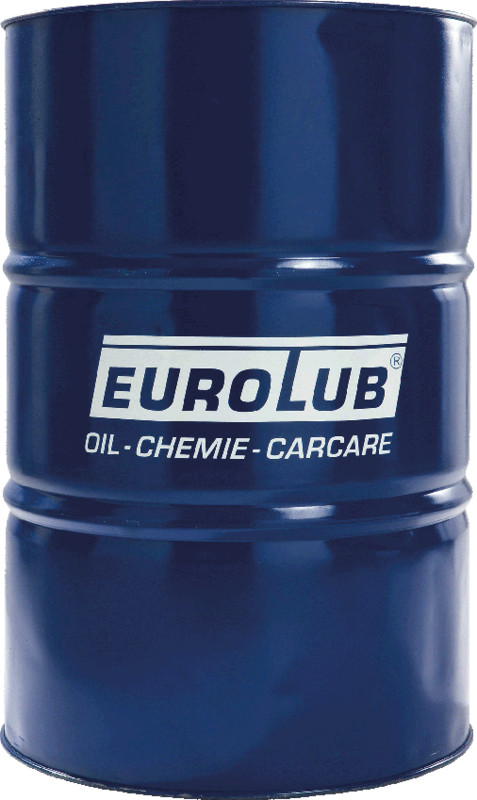 Multi-grade engine oil for mixed vehicle fleets. Developed for use in diesel and gas engines built into commercial vehicles, work machinery, and passenger cars (except pump-jet engines). Engine oil for diesel and gas engines, tried and tested as an excellent choice for commercial vehicles, heavy-duty work machinery, and passenger cars (except pump-jet engines). API CF-4 Engine oils of power class CE with a low portion of metal-organic additives and higher requirements regarding oil consumption and piston deposits. Multi-grade engine oil for gas and diesel engines (no pump-jet, without WIV) including turbo models. The stricter requirements to be met by the engines (as specified by the manufacturers!) are satisfied with reserve capacities. API CH-4 Engine oils for high-speed 4-stroke engines meeting stricter exhaust emission standards; can be used as substitutes for API CD, CE, CF-4, and CG-4 oils. 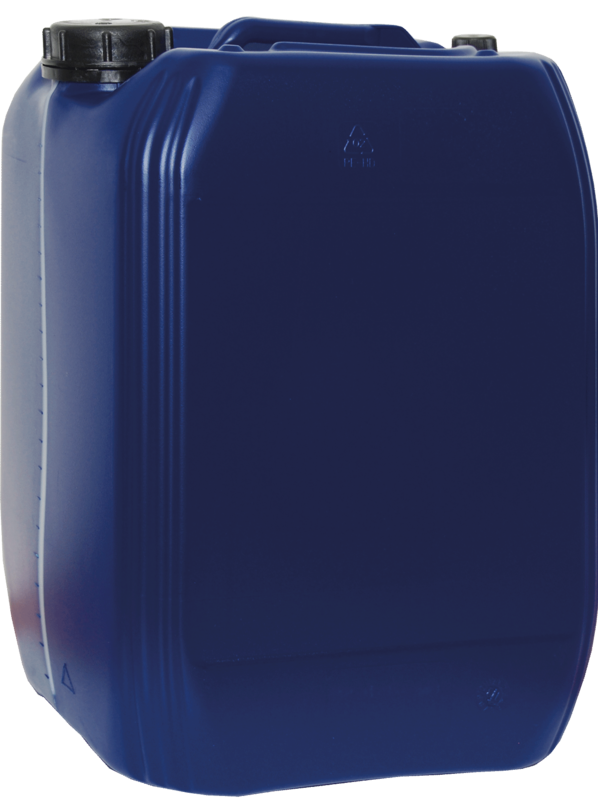 ACEA B3 Conventional low-viscosity engine oils with requirements exceeding B2. Exceeds B2 in terms of cam lobe wear, piston cleanliness, and viscosity stability at high soot pollution levels. ACEA E2 Multi-grade oils for naturally aspirated and turbo-charged heavy diesel engines used for medium to heavy-duty applications and with normal oil change intervals (manufacturer’s specifications). It is a multigrade oil, which meet all requirements of spark-ignition petrol or diesel engines. The adjustable viscosities guarantee good lubrication under all operating conditions. According to some manufacturers’ recommendations these oils can be used throughout the year. This all-round motor oil is recommended for use in petrol- and diesel engines, with or without turbo-charging, in passenger cars and delivery vans. This engine oil was specially developed for diesel engines that are used in the harshest operating conditions the whole year round. This engine oil is intended for diesel engines operating under heavy loads and helps lower exhaust and particle emissions. ACEA E9 Stay-in-grade oils for high-performance diesel engines suitable for exhaust after-treatment systems with particle filter. High-quality, low-viscosity engine oil for commercial vehicles of the latest generation and in compliance with the most recent emission standards Euro 4, Euro 5 and Euro 6. Highly alloyed, USHPD low-viscosity engine oil with a reduced ash content (Low SAPS). Adapted to meet the most recent emission standards EURO 4, EURO 5 and EURO 6. State-of-the-art SHPD low-viscosity engine oil. Developed and adapted for use with the latest particle filter systems in commercial vehicles in accordance with manufacturer’s specifications. API CJ-4 Low SAPS, SHPD-grade engine oil for engine oils SAE 15W-40 based on Group II oil. Universal engine oil for use in diesel and gasoline engines. The high additive content guarantees excellent detergent, dispersant and antiwear properties. Ideally suited as a year-oil for mixed fleet. The operating instructions of the vehicle and engine manufactures must be followed. During the operation of gas engines at the combined heat-and-power plants (CHP), burned are various gases that are not regulated by any quality standards, such as biogas, gas emitted from wastewater treatment, landfill gas or marsh gas. Significant fluctuations in the composition of the gases used and the virtually uninterrupted operation of engines set high requirements to the lubricants used. For example, a typical problem is often that gas has hydrogen sulphide that can be converted into sulphuric acid and cause increased corrosive wear, especially in the combustion chamber of the engine, on the piston and cylinder. To ensure trouble-free operation and long service life of the engine, you cannot do without a sound maintenance plan with the appropriate oil change intervals. Moreover, oil itself plays a key role not only in terms of quality and compliance with other technical requirements but also in terms of price and minimisation of operating costs. By choosing oil for EUROLUB gas engines, you choose the best alternative, a perfect balance of proven quality and competitive price. ensures the economical operation of a unit. This oil was developed for lubricating stationary, high-capacity gas engines that operate on all types of different gases. This oil was developed for lubricating stationary, high-capacity gas engines that operate on all types of different gases. Low-ash. Single-grade engine oil for gas and diesel engines (except pump-jet engines). This oil is suitable for use in water-cooled or aircooled two-stroke engines of all cubic capacities that employ mixed or separate lubrication. Mixing ratio up to 1:100. This oil is suitable for use in water-cooled or aircooled two-stroke engines that employ mixed or separate lubrication and are built into any kind of scooter, lawn mower and chain saw drives. Mixing ratio up to 1:50. This oil is suitable for use in water-cooled or aircooled two-stroke engines of small and medium cubic capacities that employ mixed or separate lubrication. Mixing ratio up to 1:50.